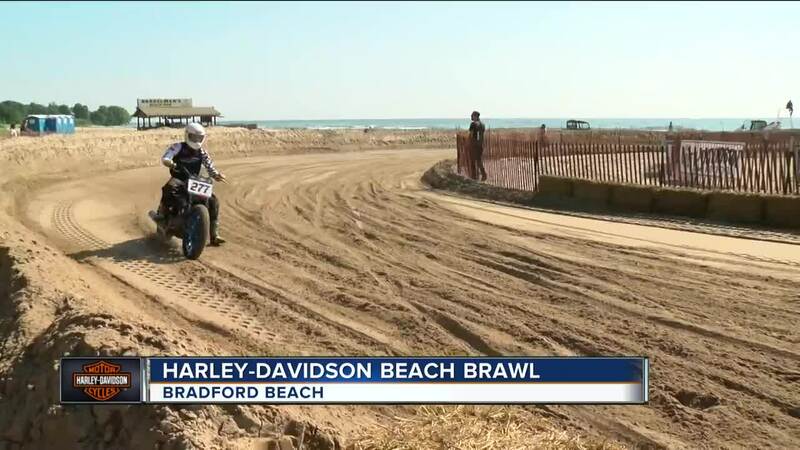 MILWAUKEE, WI - Sun, sand, and some smokin’ hot bikes —that’s what you’ll see Friday and Saturday at Bradford Beach as Harley Davidson hosts a race in the sand that hasn’t been done like this in over 100 years. “This is monumental," Scott Johnson, owner of Fuel Cafe, said. "I don’t think people can underestimate the impact this is going to have worldwide." Visit Milwaukee estimates 150,000 riders from across the country and the world will come to Milwaukee to celebrate Harley-Davidson's big 115th resulting in an expected economic impact of about 95 million dollars. Events like the "Beach Brawl' are just one of the things drawing a big crowd. “This is something that you don’t see anytime so this is kind of a once in a lifetime thing,” Johnson said. Friday racers practiced preparing for Saturday’s competition. Vintage and new bikes will meet up and battle it out on the oval on Saturday, paying tribute to the early days of racing.